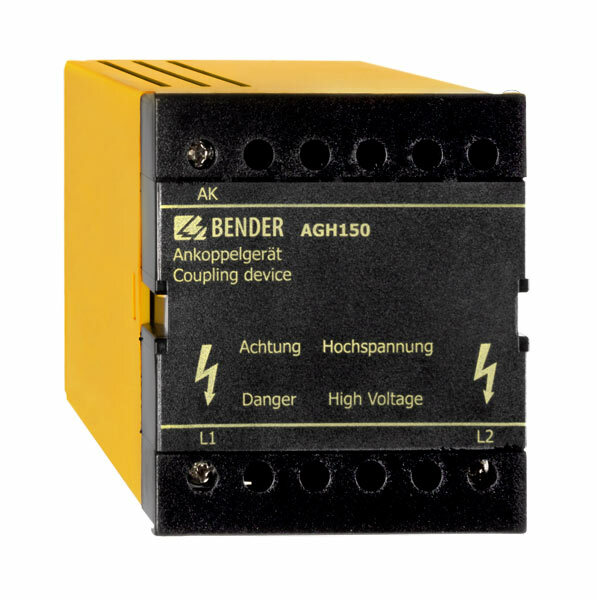 The AGH150W or AGH150W-4 coupling device is designed to extend the nominal voltage range of the ISOMETER® iso685… and IRDH… series. The coupling device is connected to the system being monitored by two poles and connected to the terminal AK resp. L1/L2/L3 of the ISOMETER® by means of the terminal AKxxx.